The secondary cell walls of wood and biomass are put together by a complex chemical called lignin (lignen). If you saw wood into powder and then melt the lignin in the powder, the lignin will again bind the powder together into solid wood. This is the idea used in binding sawdust into sawdust briquettes. To melt the lignin from sawdust requires a lot of pressure which can not be achieved by the simple briquettes press used in simple briquette making. Sawdust can also be mixed with a starch paste and be bonded together as a briquette by pressing using simple briquette making presses. Such a briquette is very light, and it burns very fast, and produces a lot of smoke. To make it stable and last longer, just mix sawdust and charcoal fines at the ratio of 20/75 and add 5 - 6% starch binder. Starch is relatively very expensive and can be replaced by mashed newsprint/waste paper pulp as a binder. To read more on possible recipes of making charcoal briquettes using starch as a binder go to the article How to Make Briquettes – Charcoal Briquettes - Charcoal Briquette Ingredients and Composition. Sawdust is the by-product you get after cutting lumber with a saw. Sawdust is composed of fine particles of wood which takes a long time to discompose. High concentration of sawdust in one area is considered an environmental problem. Sawdust is easily available at almost free of charge from saw mills as well as from individual carpenters within many societies. Sawdust contains a lot of energy and is therefore ideal for making inexpensive fuel briquettes. The good thing about sawdust is that we can utilize its lignin to bind the briquettes instead of using starch binder which is the most expensive component in charcoal briquettes. To get sawdust to bind together using its own lignin, you need to press the sawdust at such high pressure of 60 tonnes per cm². This is a very high pressure that the briquette comes out the orifice charred and steaming hot. It is this compression pressure that heats up the sawdust to a temperature of about 120°C. This temperature in turn melts up the lignin in the sawdust and upon reduction of pressure and cooling the sawdust is bonded together as a solid briquette. It is very important that the sawdust should be completely dry and at moisture content of about 8% and 12%. In addition, the sawdust should be of consistent size with fines and shavings. These sawdust briquettes are smoky and need to be carbonized to fit in the high end market. One good thing about fuel briquettes pressed that much is that they are compact and dense than wood and occupy less space for economical transportation and storage. In order to achieve the pressure required to press the sawdust to release lignin, you will need to purchase a wood pellet making machines or sawdust briquette making machine. Ideally, they actually are the same machines and by changing the dies and rollers you can get pellets, briquettes or those other tubular shapes. In china you can purchase a good wood pellet making machines or sawdust briquette making machine for about $6000 ex-works. You will then have to add the cost of transportation, handling and clearing and with roughly a total of $10,000 you should have the machine in your manufacturing yard. A good machine should be able to produce about 1000 kg of pellets/briquettes per hour. The moving parts, rollers and dies will need to be replaced from time to time and this can turn out to be a big cost. And in addition you will need to pay for electricity that you will use in running the machine. The electricity can be about 7% the energy of the fuel briquettes made. A table comparing the approximate calorific values of sawdust briquettes, wood pellets and charcoal briquettes to that of typical fuels. If you would like to learn How to Make a Simple Briquette Press, you can check it here. How much saw dust require fo making 1 Mt. charcoal briquette. we are thankful that you have like this,we are now starting the project (charcoal brequitting) in Salcedo Eastern samar,Philippines.we are the Super typhoon Victims (Haiyan) and we are making some Livelyhood to change our way of income..we have plenty of raw material in our locality, we are seeking help to have more knowlege about the charcoal...thank you. I have limestone, cassava Starch,crushed charcoal,plz what else do I need to make my briquettes smokeless, burn slow but produce heat efficiently ? Please can you compare the smokiness of briquette made from fermented sawdust to that made from coal dust or any carbonised material? Google "Gemco Energy Machinery Co., Ltd.". You are likely to get good wood briquettes making machine at workable prices from China; so, search far and wide and compare from that country. i want to buy wood pellet machine or wood briquettes making machine. please suggest me best making company for it. Thanks for all the info, I am just starting out and realize that I have a long way to go! All info is very useful. Coudl anyone let me know what is best way to make charcoal briquettes from charcoal dust so it give same quality as of saw dust briquette?? Alternatively whats is best use of charcoal dust?? At this time and age I cannot recommend use of Tobacco dust in making briquettes. Tobacco dust is known to contain nitrosamines, which are readily absorbed by the body tissues like skin, respiratory epithelium, and mucous membrane of mouth, nose and intestines. Hello!! may we please ask a questions. Were going to have our science investigatory project and we need your help and the question is how can we reduce smoke in briquettes made from charcoal dust,papers,saw dust,and wood shavings? a year ago i bought screw press briquetting machine and since i got it im having problems. my briquettes are cracking and not formed well the humidity is 7% and the temperature of ie is 320 degress.i would appreciate and help. Hi, I'm researching how to make a sawdust briskette with out a commercial machine. One idea for all of you to consider and/or throw in your comments is this: what about using a log splitter of 6 tons and building a compound press 'around' it. With the compound press, it might be possible to generate the force needed. Anyone have any thoughts? It's not possible for those without a log spilitter. Also what about using a wire heating element to add heat during our right after the compression? Lignin (Lignen) is a chemical found in raw sawdust and is pressed to bind the sawdust into briquettes. To melt the lignin from sawdust requires a lot of pressure which can not be achieved by the simple briquettes press. If you carbonize the sawdust before pressing, then you will have destroyed the lignin in which case you will need to provide another binder for your carbonized sawdust. Binders such as starch from unga or cassava can be expensive relative to the selling price of your briquettes. can i carbonize sawdust first into char dust,that is, before brequetting then use the resultant char to make the briquettes? Thanks for your comment. We will appreciate your comments on using pulped paper, and, or starch as bidder in making of briquettes. 10 kg of flour may cost as much as 90 kg of good charcoal. South Africa is a land of inexpensive, good clays which can be used as a bidder for the low-end briquettes. Maybe you can also experiment with ball clays as bidder or such other type of clays. the cheapest form, maybe from 'cassava or potato'. I am in South Africa. I will keep on trying until I hit on a decent economical binder and let the 'hub' know as well. Hub Author, I appreciate your valuable contribution on the subject of briquette. I am an undergraduate student and currently carrying out a research on the Calorific Value and Proximate Analysis of Composite Briquettes. My case samples are Sawdust and Corncob. 1. You once mentioned that it makes more economic sense to use corncob for animal feed than for briquettes. My question is, does it make any sense at all to use agricultural waste in the first place for briquettes in the first place? If yes, what kind of agro waste can be used? 2. Do composite briquettes have any edge or economic advantage over other non-carbonated briquettes? 3. I am producing the composite briquettes manually and I have my plastic molds ready. So far, I have been seeing high pressure specifications and they are all for briquetting machines (presses). Kindly advise me on what range of compacting pressure to apply for the manual method to achieve a good briquette and such that the briquettes don’t break or disintegrate upon stabilizing or drying. 4. I read that increasing the pressing temperature can help reduce the amount of compacting pressure required. 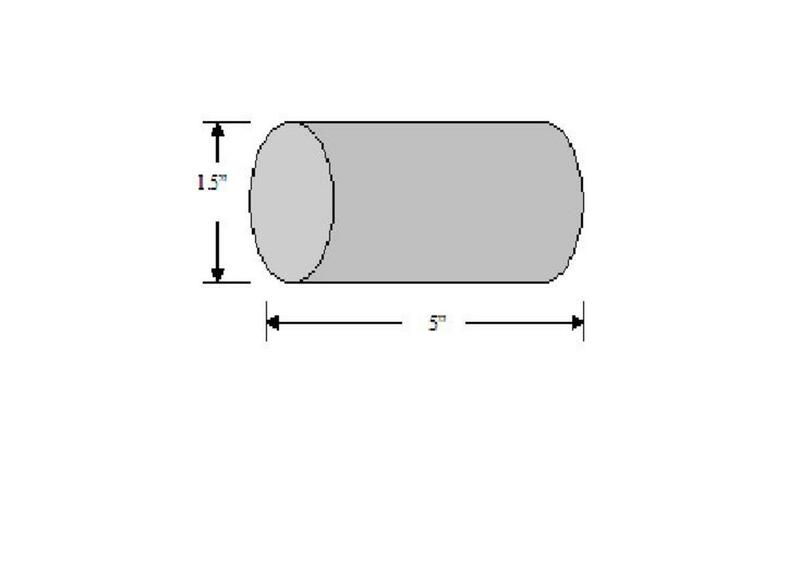 How can I achieve this manually – do I add warm or hot water to the composite before mixing with my tapioca binder or what? I think Molemeter was more interested on the ROI of pressed sawdust. Is the ROI better or worse. I think he is looking at the investment in regards to home made bricks. Carbonized sawdust briquettes are smokeless whilst uncarbonized sawdust briquettes produce a lot of smoke when burning. Carbonized sawdust briquettes will burn faster producing more energy per given unit of time. Soaking the sawdust in water for a few days has more to do with reducing the irritability of smoke you get from briquettes rather than an improved binding. It’s just like soaking onions in water for a few hours to release the irritant gas propanthial S-oxide which attacks your eye. And yes, fermenting the sawdust makes them less irritant (less smoke?) but you have to consider that any water added to the sawdust has eventually got to be removed which requires more energy. what's the overall difference in the uncarbonized sawdust briquettes and the carbonized sawdust briquettes? burning hotter and longer and just some general differences? Thank you very much for the reveal of such very important information about briquette preparation and its properties. Personally, I am very thankful to you. I hope you will answer to some of my questions below presented. i. How to make sawdust briquette after fermentation? By drying the fermented sawdust or put the wet fermented sawdust into briquette making machine? ii. If fermented sawdust dried and then put into briquette making machine to make briquette then what would be changed into the properties of binder (lignin) i.e. binding capacity increase or decrease. Ngureco. As usual, the information on this hub is extremely useful. In February this year you advised me on how to improve the quality of my briquettes (made from charcoal dust and molassis) and, after following your advice, the results were amazing. When I use my briquettes, they light up in about 10 minutes, produce a flame and have high heat content. However, a lot of people are still complaining heat content and I suspect this is due to the way they place the briquettes in the stove. I would like to produce a step-by-step instructions' leaflet to be included in the package. Could you help me with coming up with the instructions (or suggest someone who can)? Thanks in advance. Someone mentioned that when sawdust is mixed with a low cv biomass or say for ex. chicken droppings, the resultant CV of the produced briquette would be almost close to that of sawdust. Is this true, if so, what proportions (% wise) will make this statement true. Pl explain. Thanx in advance. Thank you, Amar Shanghavi, for inviting me to visit your country. I may not be able to visit your country at the moment but in the near future I should be able to do so. Your Ministry of Environment/Forestry should be able to provide you with all the information that you may need plus they should arrange for you to be paid money from carbon credit fund. You local FAO office and UNDP office should also be able to help. 1. When you carbonize your briquettes, you also reduce the Gross Calorific Value of your briquettes in addition to the energy used in carbonization. Most lump charcoal used in Africa is partially carbonized and emits smoke when burning. How much you carbonize your briquettes should be determined by what your market want and how much they are willing to pay for it. Saw dust briquettes can be used without carbonization just as you would use dry firewood – just make sure the moisture content of your briquettes is fewer than 10%. Unfortunately, with un-carbonized briquettes, you will have to do with smoke that is not good for your health. 2. Why always only sawdust for carbonization? Sawdust is one material that is very difficult to decay (decompose) as it is made from solid wood and disposing it off can present some challenges unlike crop biomass. When you carbonize sawdust into briquettes, you solve an energy problem as well as an environmental problem. Converting agricultural biomass to briquettes is not 100% recommended as the best use for such crop waste is to return it to the farm to decompose as manure. Most plant materials can be compressed into briquettes but you have to consider if it makes economic sense. 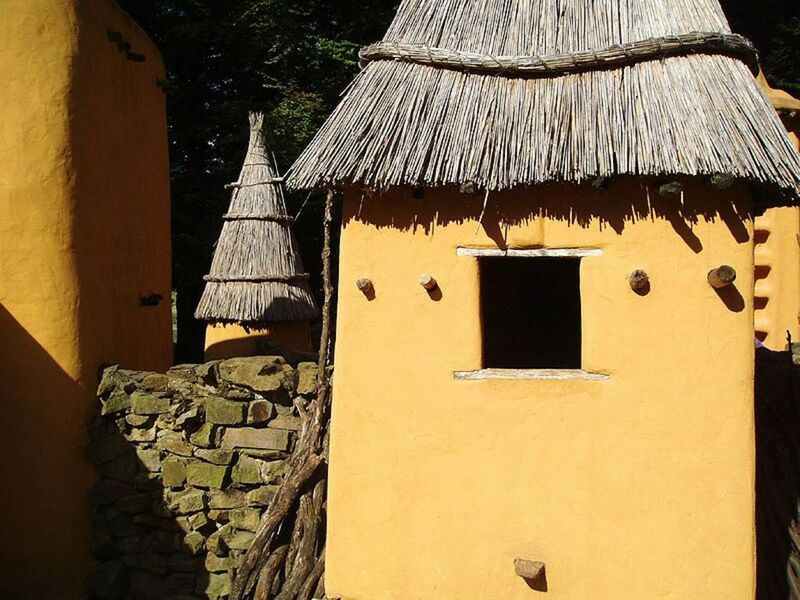 For example: corncobs can be made into briquettes but it makes more economic sense in converting them into animal feed. 3. Charcoal fines are already carbonized and are added to biomass to lower the amount of smoke in the briquettes. If you dry any biomass to a moisture content of fewer than 10% and you press it hard enough to get a density of 1.2 grams/cc, such a briquette should be able to burn long enough just like any other briquette. You can not create energy! People that do not have strong briquette making machines will find that adding charcoal fines “increases” the burning time of their briquettes. The higher the ratio of charcoal fines added to biomass, the less the smoke emitted but the percentage of binder has to be increased proportionally. (3) We are having a RAM type briquetting machine. Someone recommended to mix 10% charcoal fines with 90% of any biomass or sawdust for longevity of the briquette burning. Is this statement true, if so, is the ratio apt? You have been very kind in all your explanations. Thank you once again. Would you be willing to visit my plant in Tanzania to assist us make this project a success. I would be very happy to cover all your living and travel expenses. If you would be interested, it would make me very happy to host you and show you my country. Making sawdust into briquettes is an art in itself. You just need to keep on trying until you get it right. Like any other business, any experiment you do should be on a very small scale so that if you get it wrong, the losses are a minimum. From your questions, I can tell that you know quite a lot about making sawdust briquettes and that you only need a little more effort to succeed in making carbonized sawdust briquettes. 1. Screen the raw sawdust to remove contaminants and oversized particles. 3. Fed the dried sawdust into your briquetting machine for high pressure compaction into briquettes with a density of 1 – 1.2 g/cc or just thereabout depending on the wood that your sawdust is made from. 4. When your briquettes come out from the briquetting machine, they should be hot to the extent that the outer side will look slightly roasted. To get sawdust to bind together using its own lignin, you need to press the sawdust to a very high pressure of 60 tonnes per cm squared. 6. Carefully, load your briquettes into the carbonization kiln – something similar to stacking for bisque firing in pottery and ceramics. There will be need to consider weight distribution and shrinkage of the briquettes before putting them on top of each other to avoid excessive breakages. 7. Carbonize the briquettes up to a temperature of 810 – 860 degrees Celsius for a period of about 100 hours. You are starting at room temperature so the temperatures are initially built very slowly just like in pottery making. To do that, you should build a kiln that will allow you to manipulate temperatures as well as the rate of carbonization. 8. When the temperature of 810 – 860 degrees Celsius is reached and carbonization is reached, the briquettes are removed only that entry of air is avoided until the briquettes have cooled to room temperature. This can be done by covering the briquettes with steel boxes which are immediately sealed with sand or soil. If you can have steel boxes that will carry the briquettes into the kiln such that when your briquettes are removed from the kiln, you can immediately cover them to avoid entry of cold air – this is all about avoiding fast expansion and contraction that would shutter your briquettes into pieces. This cooling process should take no less than 24 hours. 10. If you can successfully reach step 9, at workable prices, then, do not let that knowledge get off you – the demand for any form of energy is immense. 2. 110°C to 270°C – decomposition as carbon monoxide, carbon dioxide, acetic acid and methanol escapes. Thank you for the wonderful answers. I am a sawmiller and have access to a lot of sawdust built up over the last 5 years in my factory. At the moment we rent space to keep the dust and waste wood. 1. Can I carbonise the briquettes after I have made them? It was not very clear from your answer above. I am not sure if the lignen will hold? 2. My briquettes have lots of cracks (I am using 100% sawdust) and break off easily. Will this problem matter for the carbonisation? How do I ensure a strong briquette without having to purchase any binding agent? 3. Does the moisture content of the briquette matter before carbonisation? Drying the sawdust is the biggest challenge we have. Can I make the briquette without drying it and then carbonise it or it will not bind in the press if it is not dry? 4. Should I carbonise the sawdust before making the briquette? I have a press which uses the pressure to bind the sawdust. i will have to work towards creating local demand more, and building a kiln for canonization of the briquettes, though i hope to export the briquette to bulk buyers as that is not readily presently now in Nigeria. When it comes to briquettes, it should be more profitable to focus your selling to the local Nigerian market. The export market is only ideal for high quality smokeless briquettes because the cost ratio of transport and handling bulk briquettes is high to justify the logic of importing non-carbonized briquettes. Inexpensive kilns, 1.5M x 2.5M x 1.5M high can be built using locally available refractory fire bricks. You just need to ‘slowly’ build the temperatures to about 850 degree Celsius. More also how can i get buyer because i can produce from my mini briquette factory, about one 40 feet container of non carbonized sawdust briquette per week ie ''using lignin at high pressure and temperature''. i can post my email address i you need that. Tks for comprehensive infor on charcoal briquette manufacturing. Appreciate if u suggest over suitable drying method n equipment to manufacture 25 mt of charcoal briquette per day. Appreciate some advise. what is the qntity of water added to 6% binder and 94% carbon material? What is the best method of mixing before briquetting. Whether continuous drying is ok. The average density of raw sawdust is about 0.21g/cc or 0.21kg in a 1 litre container. The average density of high quality sawdust briquettes is 1.2g/cc or 1.2kg in a 1 litre container. This would mean that you will need the equivalent of 5.7 litres of raw sawdust to make 1 kg of high quality sawdust briquettes. Thanks for lot of information given above. I have a question how much Raw Material (Sawdust) is required to Make 1Kg Brquette Charcoal? It’s 94 percent of charcoal fines (dust) plus 6 percent of cassava starch. For every 94 Kg of charcoal fines (from broken lump charcoal) add 6 Kg of cassava starch mixed in water and then press the mixture into briquettes. In case of sawdust briquettes, you press sawdust at very high pressure to produce lignin and that lignin acts as the binder to bind the briquette together. is it saw dust +94 percent of charcoal dust +6 percent cassava starch. @ngureco: Thank you very much for the advice. I will apply what you advise and let you know how it works. Many many thanks for this and keep up the good work. First I would like to congratulate you for making briquettes that can stand solid and can burn and cook something no matter how slow the fire is. You just need to keep on experimenting until when you get the right combination of ingredients, and once you get to know the right combination, do not let it go. Your briquettes are made from materials that would otherwise have been a waste, and that in itself is a great achievement for you. There is an obvious difference between briquettes and lump charcoal in that briquettes do not burn as hot as charcoal because briquettes are not able to facilitate as much oxygen for combustion as lump charcoal can. This is why sodium nitrate is added as an oxidizer in briquettes. Sodium nitrate is expensive and can be very dangerous, so, avoid it. Lump charcoal has an irregular shape whilst briquettes have a regular shape defined by the die/press. This makes a lot of difference for the two in terms of surface area. To make your briquettes burn with much fire and faster, you would need to break them into smaller pieces about 1 to 2 inches in diameter before putting them into the stove. How you arrange them in the stove can also make a lot of difference because if there are no spaces for sufficient circulation of air (oxygen) then they will burn slowly. It is also important to ensure that the briquettes have dried enough to a moisture content of under 10 percent so that they burn faster and cleanly. People have a tendency of seeing illusions when they compare the ash being produced by briquettes and that being produced by lump charcoal. Take for example: lump charcoal with a density of about 0.4 grams/cc and briquettes with a density of 1.2 grams/cc. A 2 liters container of briquettes will produce thrice as much ashes as lump charcoal in the same container. This is because the briquette in that container weighs three times as much weight as lump charcoal. If there is complete combustion, then there would be no difference to the ash-content between lump charcoal and briquettes made from charcoal fines of the same wood. But the difference in ash content comes because of this: The fine charcoal dust that you are using have a very low purity than lump charcoal. Your charcoal dust contains, in addition to charcoal, fragments, mineral sand, soil and dirt picked up from the earth and the surface of the wood and its bark. The fact that the charcoal is breaking into fine dust before reaching the buyer means the charcoal layer was over-burnt into almost ash, or the charcoal was produced from bark, twigs and leaves which have higher ash content than normal wood charcoal that did not break into dust. The fine dust that you find in charcoal stores and charcoal bags may contain less than 50 percent charcoal. The other 50% is fragments, mineral sand, soil and dirt that may have been deliberately added by charcoal vendors to improve on the weight of a bag of charcoal, and this may be what is making your briquettes have more ashes than expected. These undesired high ash materials can be separated by screening the fines and rejecting undersize (extra fine) material by passing through a 2 to 4 mm screen. The materials that remain on the screen are fragments of good charcoal and this is what should be hammer-milled to make good briquettes with less ash content of about 2 percent. I hope after reading this you won’t start thinking that the economics of briquetting charcoal ‘dust’ are not workable. Thanks for this hub. I produced charcoal dust briquettes and used molasses as the starch binder at the ratio of 10:1 but they do not have enough heat. They burn up quickly and produce a lot of ash. What am I doing wrong? Sawdust briquettes produced by applying high pressure of 60 tonnes per cm² will still emit smoke because they have not been carbonized. The high pressure helps the sawdust particles to bind together by lignin (lignen) and at this stage the briquettes are as good as dry firewood. 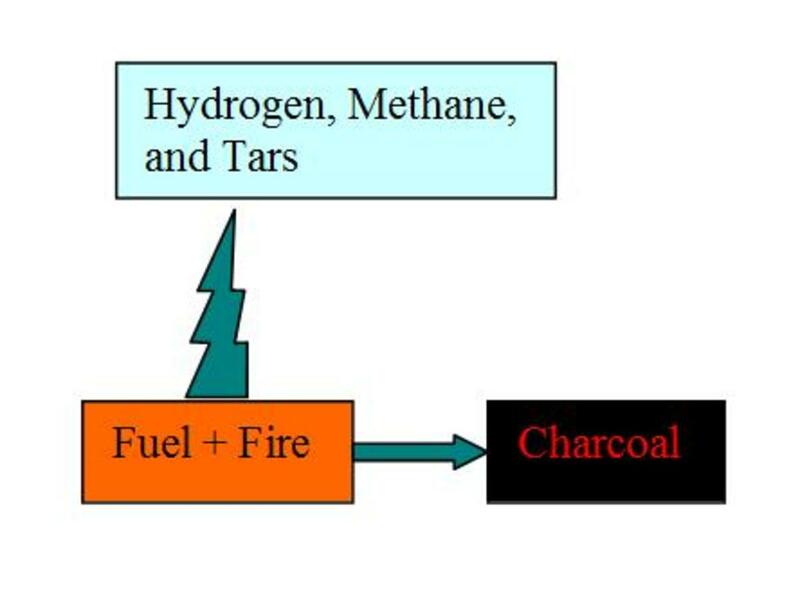 Carbonization is the conversion (through burning) of organic substances into carbon in the absence of oxygen to remove gases such as hydrogen, methane and tar. These gases are what come out as smoke. Briquettes fall under fuels and as long as they can burn cleanly and the prices are workable, the market is unlimited anywhere on planet earth. @ngureco: As per your comment, "Briquettes made from sawdust and paper will certainly produce a lot of smoke." Just want to know if the sawdust briquettes produced by applying high pressure of 60 tonnes per cm² will also produce lot of smoke? Also, what is the current price/tonne of these biomass briquettes & which country is currently huge importer? Thanks in anticipation for your time. A briquette pressing machine of 6k will produce high quality briquettes that will meet international standards. What may vary is the output per hour. Large briquette presses produces several tonnes of briquettes per hour but then they may cost as much as a million dollars. With $6,000 you should be able to get a medium sized briquette making machine. You can check with: Anyang GEMCO Energy Machinery Co., Ltd., East Haihe Road, New High-Tech Industrial Development Zone, Anyang, Henan, China, Email address: biomass@ayimpex.com. They should be able to give you their current prices as well as an explanation of what you will need for their briquetting presses technology. There are also many other manufacturers of briquetting machines in that country and you can ask them for their prices so that you can compare. thanks for ur enlightenment responses,sir from ur above respond it is obvious that i can only go wit d sawdust briquette cos here in nigeria sawdust is free n in sum cases u can b askd to pay a token..bt sir can d 6k press produce a sawdust briquettes of such density to make d international market. There are different briquette presses for charcoal dust, biomass briquettes, sawdust briquettes and woodchips. What you may aim at is a press where you can interchange some components to make briquettes from different materials. You can get superior and inexpensive presses from manufactures in China. I would recommend you start on a small scale so that if anything goes wrong then the loss is a minimum. My observation has been people who are used to using lump charcoal are very difficult to change into using briquettes. If you would start with your briquettes priced at half the price of lump charcoal and you provide briquette stoves (different from those of lump charcoal) then you can have the mega market of the low income groups. Selling briquettes to the big hotels and institutions like schools is easier compared to selling to low income people who just keep on preferring lump charcoal. If you can make good quality sawdust briquettes and your prices are workable, then foreign markets are plenty. Ideally, you should think of good briquettes to have a density greater than 1gm/cc, moisture content below 10% and ash content below 2%. The ‘free on board’ price of a container load should be about US$ 0.25 per kilogram of briquettes. With a density of 1 gm/cc, you should be able to load about 14,000 kg in a 20 feet container which should give you about $3,500 at your local sea port. Now, the question is: is it economically viable to get only $3500 for all that load of briquettes? The answer may be ‘no’. 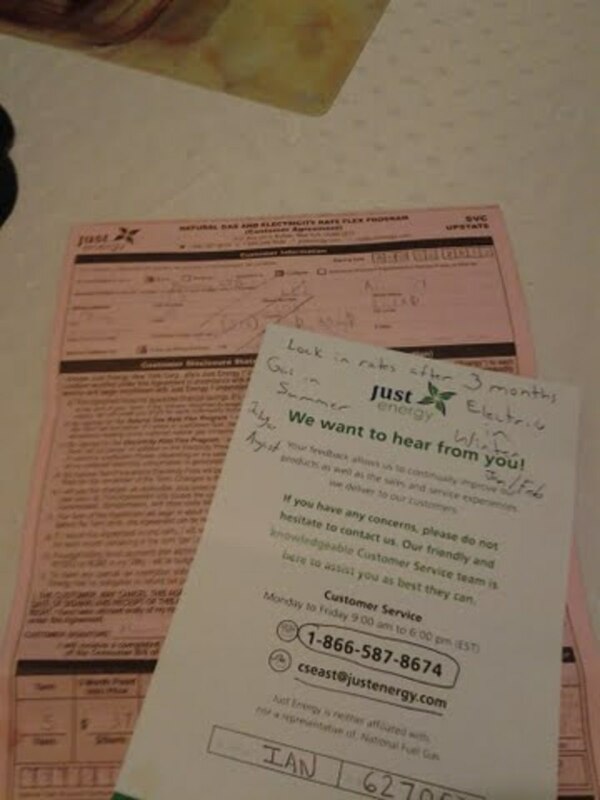 But then if you were to ship at least one container every week, it may still be worthy the effort, more so when you reflect on the possibility your government should compensate you with extra money from carbon credit. $3,500 may not look like a lot of money but then the material to make your briquettes are obtained free of charge, even though the whole process of making briquettes is labour intensive. The decision to go into briquettes-making business is very difficult but it’s only you who can make it. thanks for ur quick respond,i can take a loan to start it if there is no lower briquette press machine..bt can d 6k press make a charcoal briquette too and whch manufacturer can u recommend to get one from..please sir i don't knw if u could help wit the foreign market prospect.THANKS. If you want cheap briquette press, you can easily make yours for about $10. You will need to use 94% charcoal dust, 6% cassava starch as raw materials and solar energy for drying briquettes. These materials are plenty and almost free in Nigeria. There is plenty of charcoal dust from lump charcoal stores some deposited as early as 1940s. You will need to dig out and sweep it from your cities. You can check how to make the $10 briquette presses here: https://hubpages.com/business/Homemade-Briquetting... . These briquettes will not have the problem of producing smoke as the charcoal dust is already carbonized. Making briquettes from sawdust is an art. The saw dust will need to be pressed to a pressure of about 60,000 kg/cm². This is a lot of pressure that makes the briquette comes out the orifice charred and steaming hot, and at a workable density of more than 1g/cc. This compression pressure will heat up the sawdust to a temperature of about 120 degree Celsius. This can not be done by briquette presses of $2,000. The 6k for a sawdust briquetting press is actually on the lower side, you may need a little bit more. You may also need a kiln for carbonization. The good thing is that if you can set it up, then you have an industry that will generate for you lots of money from the local markets as well as foreign markets. As regard to designing a sawdust or charcoal briquette stove for cooking in Nigeria, this can be done by local metal artisans at very low prices. Just check it out with them in your neighborhoods. -can i get a cheaper briquettin machine that might xpensive as the 6k dollar or a middle production one that wont produce 2k or a used one? -where can i get a company that could design a sawdust or charcoal bruquitte stove basically for cooking.thanks. Briquettes made from sawdust and paper will certainly produce a lot of smoke. If you would ferment the sawdust by dampening it in water for about 4 days, you can reduce the running tears from eyes that are associated with smoke from such briquettes. Briquettes that are not carbonized will produce lots of smoke. Briquettes made from sawdust and paper can not be carbonized after they have been made as they will not hold together. Lignin is the chemical that binds the sawdust together into solid wood and these briquettes can be carbonized after they have been made and still hold together just like lump charcoal. To get lignin from sawdust, you need to press your briquettes at very high pressure and this can only be done by special briquettes making machines. To reduce the amount of smoke in your briquettes, try mixing about 10% sawdust and 84% charcoal dust and 6% paper bidder. This way, you will get briquettes that will burn faster and with reduced amount of smoke. Briquettes made from sawdust and paper requires sufficient drying to achieve a moisture content of no more than 8%, otherwise, a lot of smoke is produced. To dry sawdust briquettes to a moisture content of about 8% will require several days of strong sun drying, and this is not easy as it may sounds. Hi, i made saw dust briquettes with paper waste as binder but they are producing a lot of smoke how can i restify this? 2. The machine will press the non-carbonized material until they produce a liquid called lignin (lignen). The lignin will then bind the materials into briquettes. Hi could you put me onto someone that sells a machine that can make pine wood briqquetts, surely here in Africa it must be cheaper than buying firewood as there isn't much left where i am and also people have to walk kms to find it.Also do you have to add anything to turn the pine wood briqquetts into charcoal briqquetts? I would like to find someone who sells a complete plant as i would have to dry the pine sawdust as well. Thank you, for your comment, Molometer. Ideally, paper briquettes, sawdust briquettes, wood pellets, and raw wood should have the same energy density if they are made from same species of wood because energy is neither created nor destroyed. 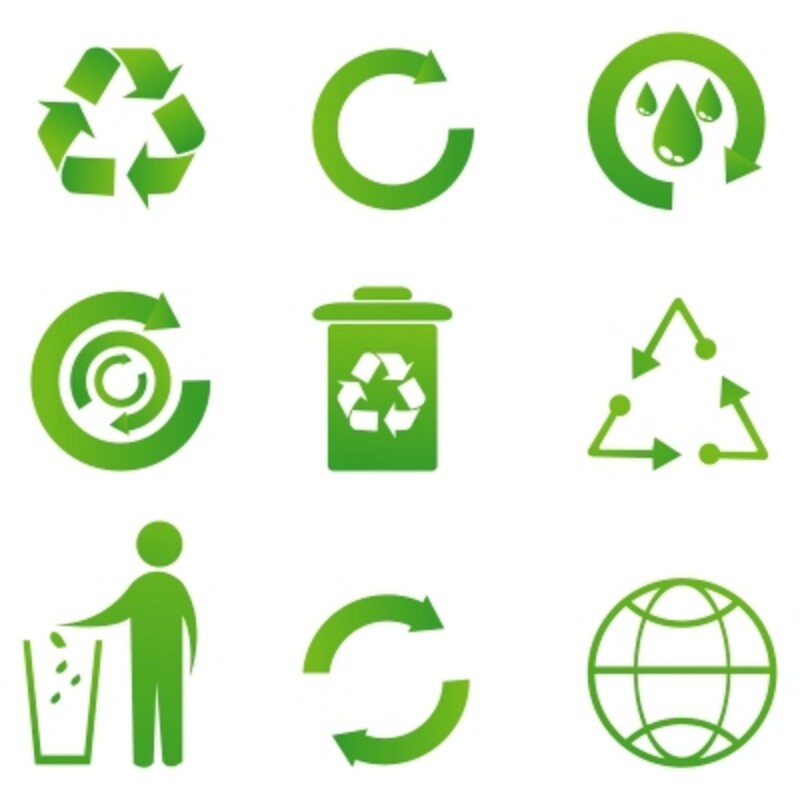 Unfortunately, each of the above mentioned types of briquettes goes a different process in making them. The variation in energy difference is mainly due to how the manufacturing process is able to control the levels of ash contaminants such as heavy metals, chlorides, sulphur, and the level of moisture content. When you grind the wood to fine sawdust/particles and press it through a die at high pressure, you are in essence embedding some extra energy in the briquette since the particle structures will have been altered from that of raw wood, and therefore, each of the above mentioned products will use different energy to decompose/burn. Making briquettes in Africa and selling the same in Africa may not be cost effective due to the prices people there are willing to pay for them unless you are getting the raw materials at very low cost. In the first world, where electricity is inexpensive, making fuel briquettes should be cost effective as people there are more than willing to pay good money for clean, smoke free, quality products. Drying the briquettes uses a lot of energy and is the single most important cost that will determine if your briquettes will be cost effective. In countries around the equator, this should not be a significant cost as they can dry their briquettes using the sun/solar energy which is free. Very interesting hub, having recently moved back to the UK from South Africa were everyone burns wood I was wondering? Has anyone done any calculations on the energy required to make the brickettes. i.e. is it cost effective. To get those extra calories into the brickettes I mean? Thank you for this brilliant idea and hub. 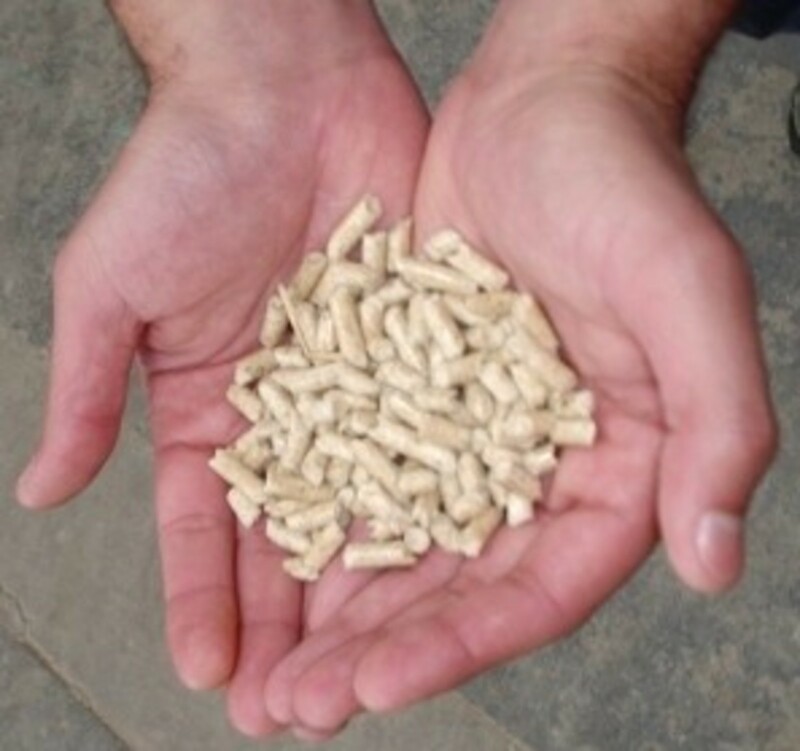 The calorific value of wood pellets will vary from the type of wood used in making the pellets. I have now added a table showing the approximate calorific values of sawdust briquettes, wood pellets and charcoal briquettes which one can compare with to the calorific values of other standard fuels.